On November 4, Taking Meds will reach the milestone of a debut full-length release. But why wait to hear the peculiarly titled My Life As A Bro? AltPress are ushering in an exclusive early premiere of the record on this very day. 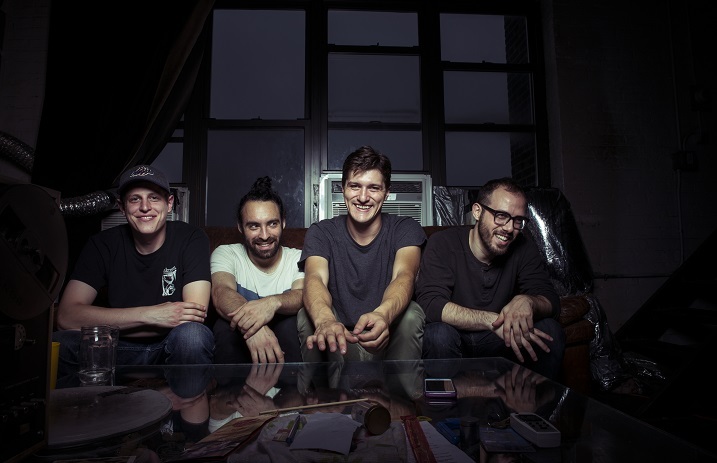 Closely associated with Such Gold, who not only share singer/guitarist Ben Kotin and bassist Jon Markson but Misadventures-era guitarist/vocals Skylar Sarkis, the group are rounded out by drummer Matt Battle. This is their finest batch of snaking math rock riffs that teeter between aggression and anxiety, coupled with vocal melodies that help the madness go down smoothly. RELEASE SHOWS: December 16 at Suburbia in Brooklyn, NY. Philadelphia, PA to follow on December 17.